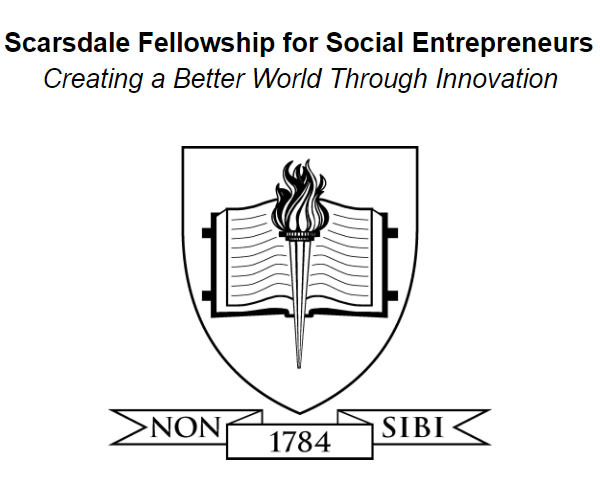 The Scarsdale Schools Education Foundation is proud to offer grants in sponsorship of the Scarsdale Fellowship for Social Entrepreneurs . Following in the footsteps of the District’s Center for Innovation, this program encourages students to develop innovative ways to tackle environmental and societal issues through social entrepreneurship. Honoring the District’s motto, “Non Sibi,” this program will provide students with an opportunity to solve a “real world problem” that may exist in the Scarsdale community or an important global problem. In our increasingly complex world, developing technologies will likely become the bedrock for the solutions of the many problems of today. The final student project can be in the form of a business plan or a physical product. Our goal is that students will see themselves as agents of positive change, acknowledging that patience, failure, and risk-taking are part of the process. While the grant program focuses on student entrepreneurship, the program is open to all High School students, regardless of their participation in the AT Entrepreneurship course. To be considered, students will be asked to fill out an application (either as an individual or team) that asks questions about the proposed project. Students will choose a mentor(s), who will help guide the process and timeline. The program will culminate with students presenting their problems and solutions, competing in pitch sessions, in front of a review panel for feedback and for consideration of additional funding to scale the idea. In 2019, the Foundation hosted two Speaker Series Presentations. 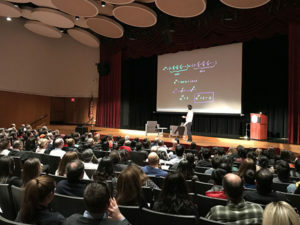 The first was an Entrepreneurial Panel in February which kicked off the Scarsdale Schools Fellowship for Social Entrepreneurs and the second was a sold-out presentation and fireside chat in April by Sal Khan of Khan Academy. Thank you to Dana Matsushita and David Siegel and the Siegel Family Endowment for arranging for Sal to come to Scarsdale.